Get the summary of sms submitted by you to particular provider and know the status of working route also. “Sent” , “Delivered”,” Fail”, “Pending”, “Reject”, “Reject by provider” and “Total sms” are shown here. 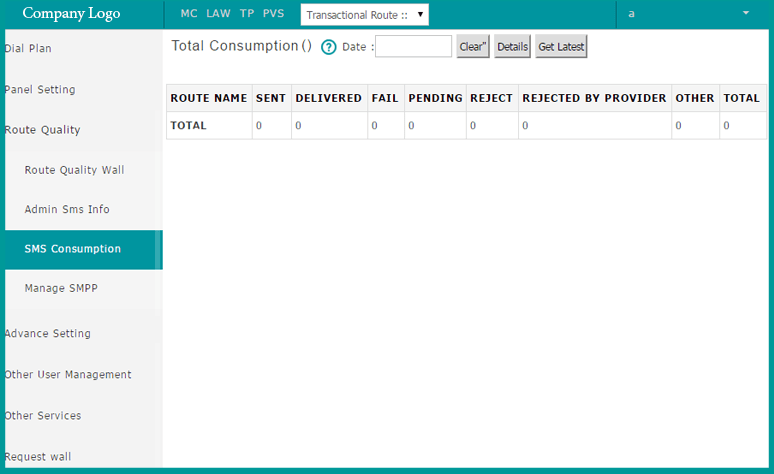 It also shows the total number of sms and name of route and provider through which it gets delivered. Need Specific data to communicate, when issue regarding delivery of sms is created.We can get data from this feature and solve the issues.